Last week we were living in a winter wonderland! I know that a few inches of snow sticking around for three days is not a big deal to some people but in South Carolina it is a a really big deal. On Tuesday the big fluffy snowflakes started to fall. It was so pretty and it reminded my of a snow globe. Although it snowed hard all day the snow melted as soon as it hit the warm ground and we didn’t get much accumulation. That evening we went to walk around the mall and it was dead. Only a handful of stores were open and there were just a few people walking around. 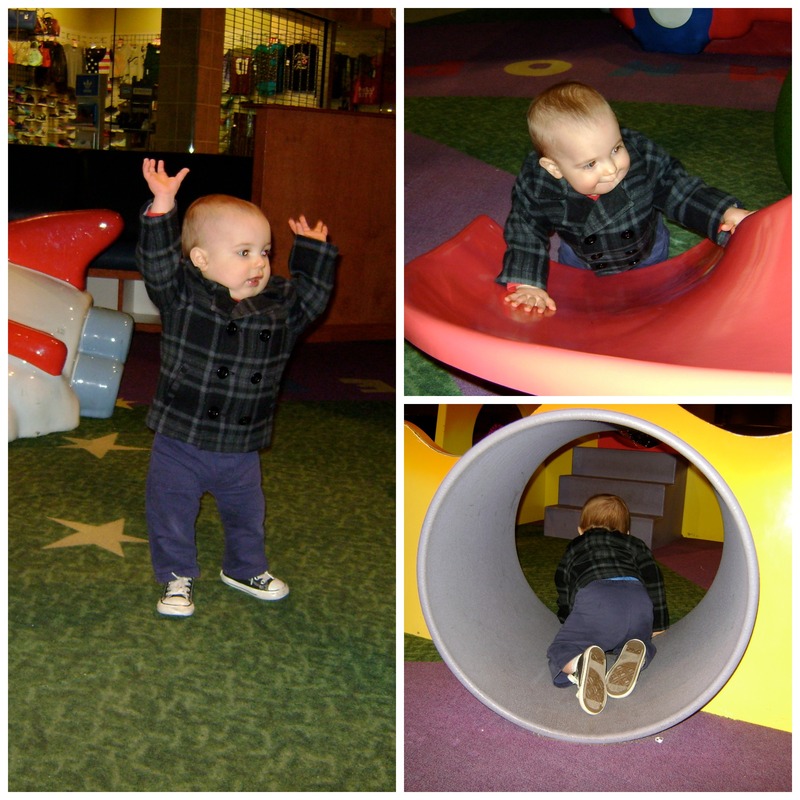 Henry loved the fact that he had the play place all to himself. 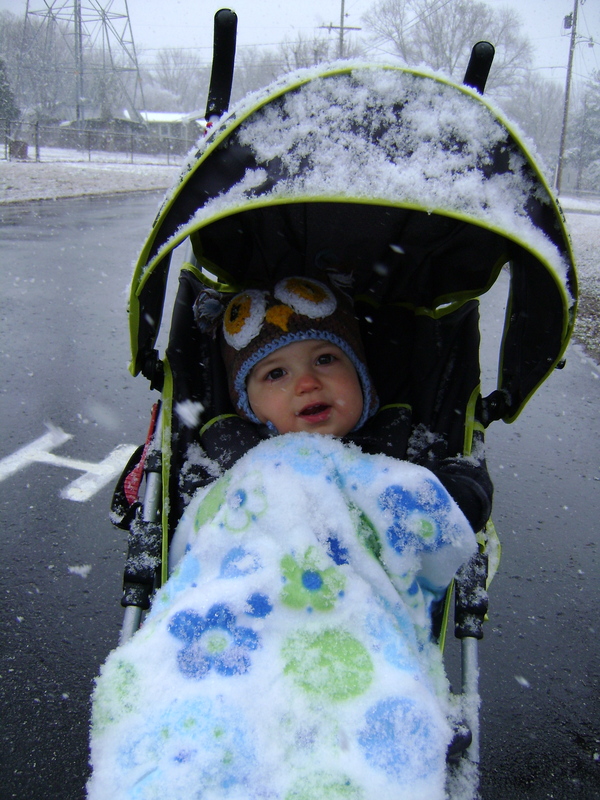 On Wednesday it snowed again and since the ground was colder the snow started to stick. This is when the whole town shut down and the real fun began! Stephen tied his kayak up to the back of our car and we pulled people around our neighborhood. Then another kayaking buddy in our neighborhood brought out his truck and boats and more people joined in the fun. That night a few of us neighbors got together to watch movies since most of us didn’t have to go to work the next day. On Thursday the snow was still on the ground but it was starting to warm up and the snow was getting slushy. 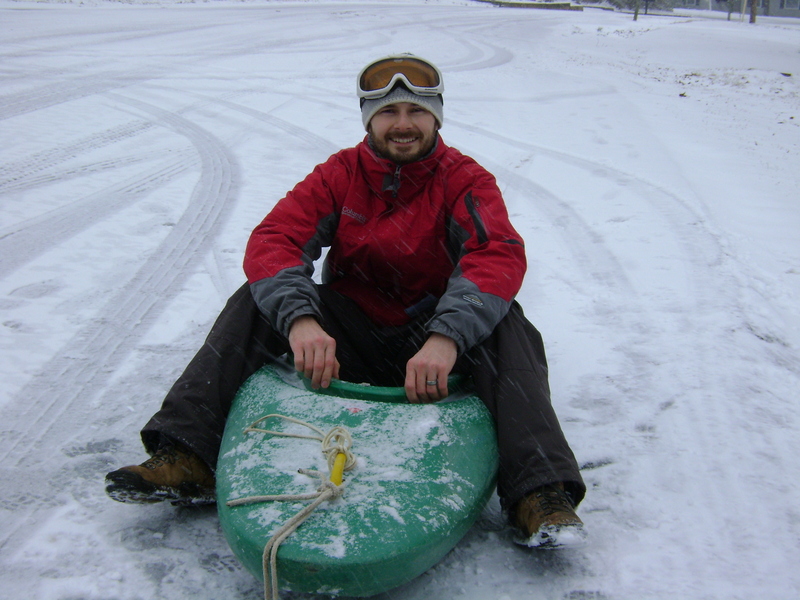 That didn’t stop Stephen from going back out for another round of snowyaking and parking lot doughnuts. By Friday our winter wonderland was all gone. Perhaps it will come visit us again next year.